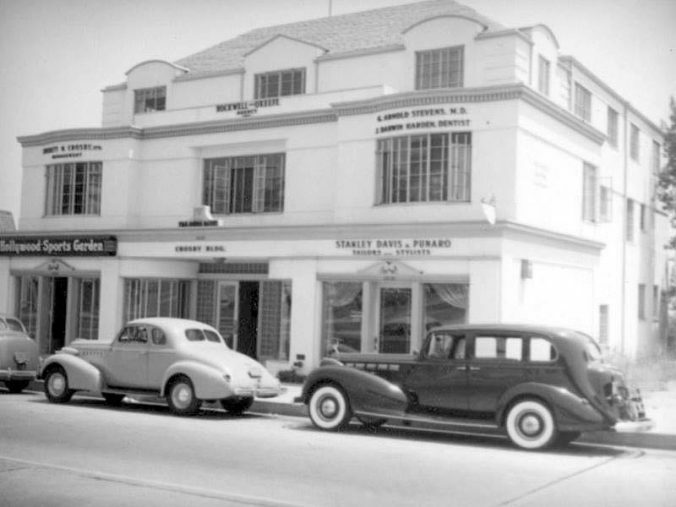 From 1936 to 1977 the building, which is at 9026 Sunset Blvd., was the headquarters for businesses operated by Bing Crosby, one of the 20th century’s most popular singers and movie stars. During that time, two groundbreaking technologies were developed in the building. In the late 1940s, engineers employed by Crosby perfected audiotape recording for commercial use. A few years later they invented a game-changing technology: videotape recording. These innovations revolutionized the music, film and broadcasting industries in the latter half of the century. I thought Ampex discovered video tape recording and sold patent to Sony. Bing asked Ampex to build video tape machine and they did. Ampex invented it, Bing asked for it. BytheWay machine required high pressure air to force quad 4 diamond heads to spin fast enough to yield video bandwidth requirements. Heads wore out often. High pitch sound as heads spun. Bing asked Ampex to build a video tape recorder….and they did. For some reason Ampex sold patent, go figure! I used to edit news stories on the first Ampex videotape machine; I used chemical to determine when tape was on frame pulse, so resulting edit wouldn’t flicker when played back. If edits were not done on frame pulse the video would roll and it took several seconds for video to again lock up. I used film cutting methods to cut and splice edits. Those were the days!